In 2008, Jim and Melinda Hollandsworth met one family living in a mobile home community near their home which changed the trajectory of their own life path. This family introduced them to a neighborhood where very few children were graduating from high school, and many were headed down a destructive path. At that time, Jim was an Executive Pastor at a local church and Melinda had been a 2nd grade and special education teacher. They decided to help a few neighborhood kids with homework and invited their friends to help. 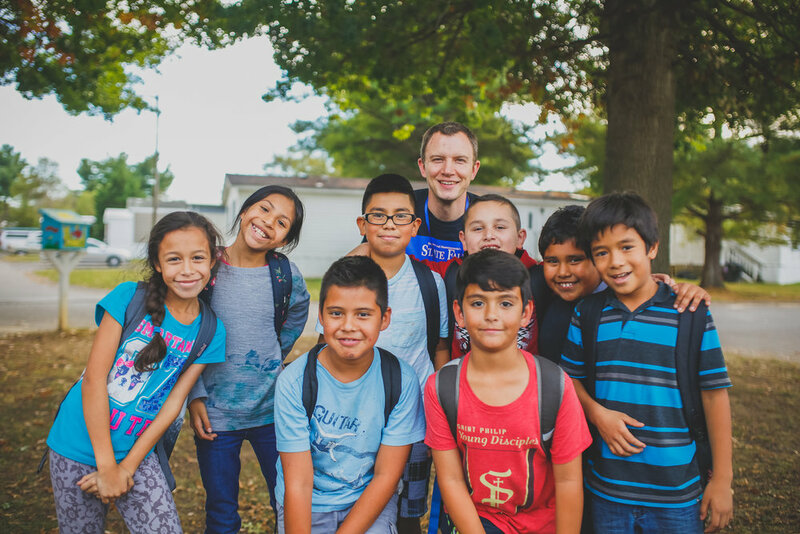 The program grew each week, and Jim and Melinda began to learn that something powerful happens at the intersection of sharing God’s love while building positive relationships and empowering kids academically. Years later, they are just as passionate about equipping kids through positive relationships and finding new ways to enhance education programs beyond the school walls. They also have the privilege of leading an amazing staff who make Path Project not just function, but thrive. Not to mention, working alongside community leaders, churches, and local schools to transform communities for many years to come! To empower children growing up in mobile home parks to find their path to high school graduation and God's plan for their future. We operate community centers inside mobile home parks where children experience the love of Christ through education and positive relationships.